“Sensei Leadership™” series by Adil Dalal, Premiers March 01 on See2B Talk Radio with Guest Mr. Anand Mahindra, Chairman and Managing Director, Mahindra and Mahindra, India. Sensei Leaders™ will be most valued assets in the world and leave a great legacy on this planet. Many people have heard of the term “sensei”, when referring to an individual with a high level of skill or mastery. How often does the everyday person think of a sensei when it comes to leadership at an organizational level? Adil Dalal, an internationally respected Lean Sensei, CEO of Pinnacle Process Solutions, Intl®, Chair of Human Development & Leadership division of ASQ, has used his vast global practical experience of working with executives and national leaders in over 25 countries to introduce his innovation, “Sensei Leadership™” in a series of shows scheduled to be aired in 2013 with some amazing leaders. The premier show of Sensei Leadership™ will begin on March 1, 2013 on Se2B Talk Radio with a stellar, highly respected and a humble guest, Mr. Anand Mahindra, a graduate of Harvard University. Anand Mahindra is the current Chairman & Managing Director of Mahindra & Mahindra Group, one of the India’s largest automobile and tractor manufacturers, which has a presence in 18 different industries and several different countries world-wide, and was recently ranked in India’s Fortune 500. Anand Mahindra has been with the company since 1981 and has been one of the key driving forces in the steep rise of Mahindra from a small automotive firm to India’s leading automotive manufacturer with a global foot-print. During his interview with Dalal he discussed a wide variety of thought provoking topics, including his perspective on essential qualities of great leaders, importance of a transcending vision, delivering the brand promise in order to build loyalty within the consumers and the immediate need for innovation within organizations. Anand also discusses with Dalal how he successfully used Lean technology to turn-around Mahindra & Mahindra - into one of the most efficient automotive manufacturers in India. Anand also weighs in on personal and national impact of witnessing history when President Obama took office in 2008. In the interview, he urges President Obama to champion global free trade and build a strong bridge with a two-way traffic between USA and India. Dalal also took time with the accomplished executive to discuss some of the core tenets of his own philosophy regarding appreciating assets, and how his own company’s motto, “You are more than you can ever imagine”, relates to Mahindra’s powerful “RISE.” philosophy. 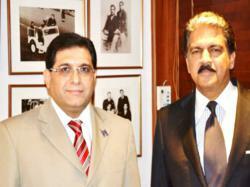 Mr. Mahindra’s interview with Adil Dalal will air from March 1 to March 15 on See2B Talk radio. 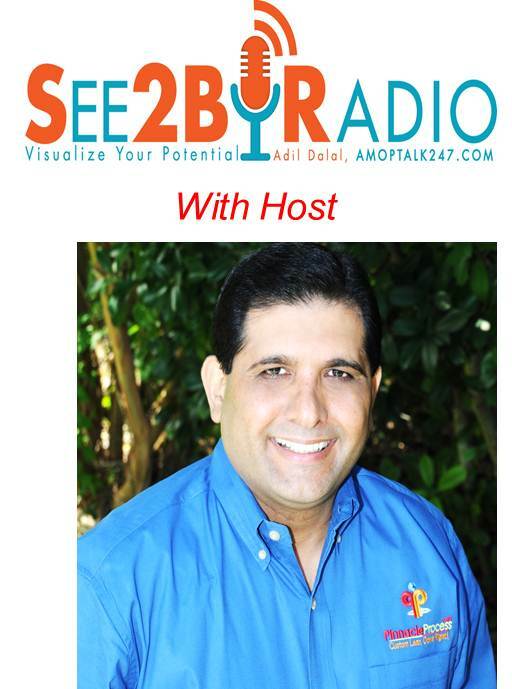 If you wish to be a guest on the inspiring See2B Talk Radio on the Sensei Leadership ™ series or on any future series, please fill out the "Be a Guest" form at or please contact Pinnacle Process Solutions, Intl®, LLC at info@pinnacleprocess.com or at (512) 212-1166.